If your days go anything like ours it is non-stop. From the moment we wake to the moment our heads hit the pillow there is always something to get done. If my day gets away from me it is often dinner plans that get put on the back burner. Having a few easy prep, low ingredient, & fast meals in my back pocket is a must. 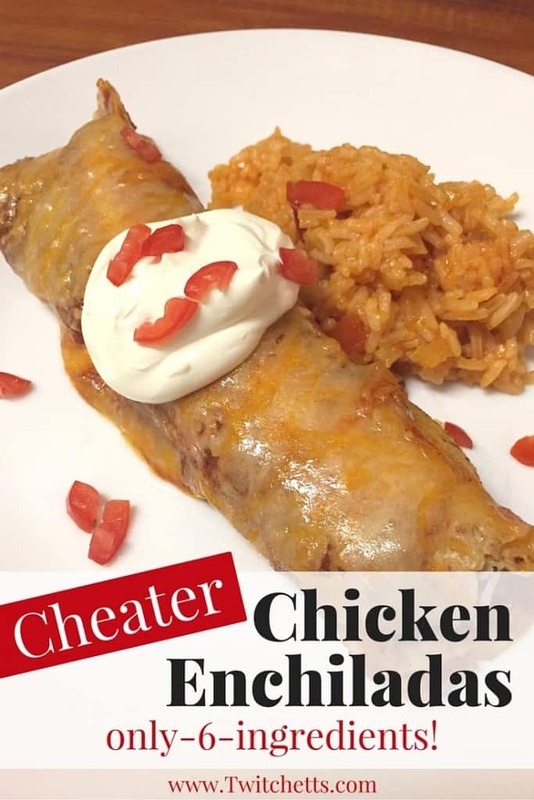 These cheater chicken enchiladas are sure to become a family favorite. Start cooking your chicken over medium heat. Take half of your Taco seasoning and add it to the chicken. The other half add to a can of tomato sauce over med heat. As the chicken cooks stir and break it up a bit. 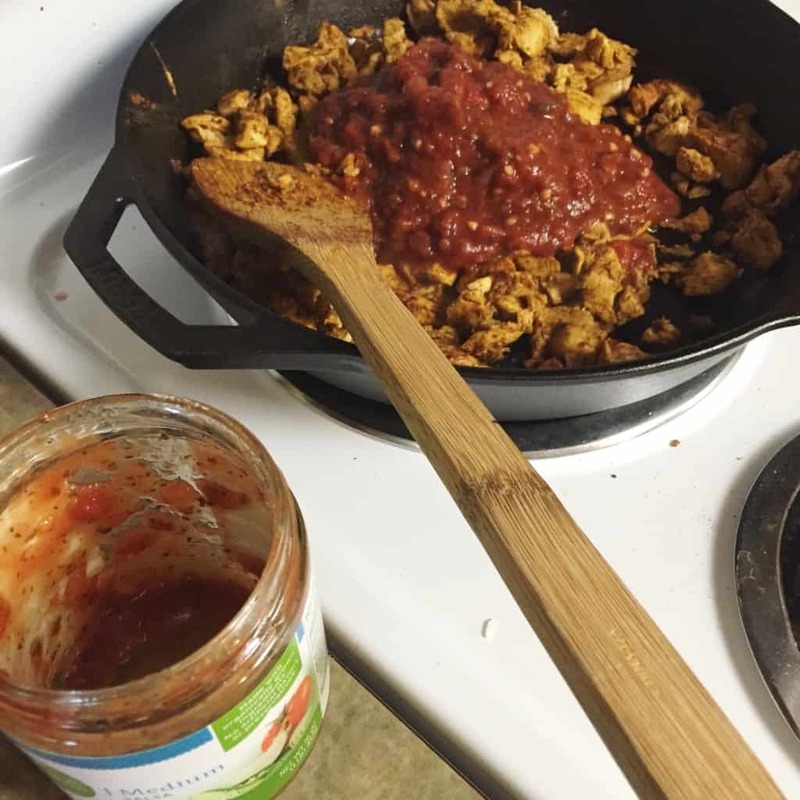 When the chicken is cooked add the entire jar of salsa. Reduce heat once the salsa starts to bubble. Start your oven and preheat to 350 degrees. In a 9×13 pan coat the bottom with your enchilada sauce. 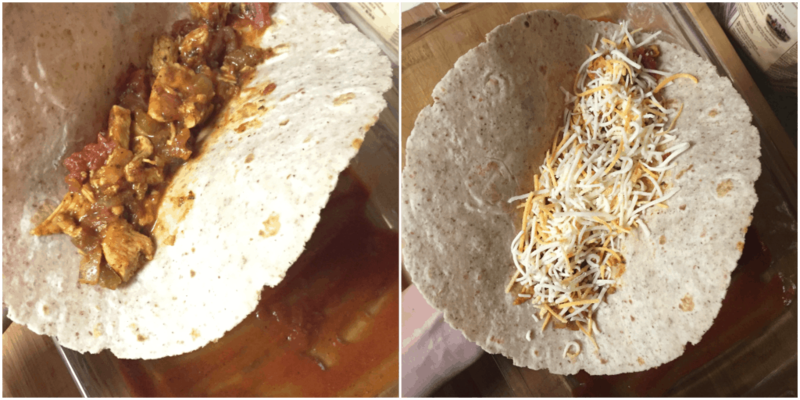 Take a tortilla add a scoop of chicken mixture and a handful of cheese. Roll up and add to the pan. You should get 8 in the pan. Top with the rest of your enchilada sauce. Then a good layer of cheese. Throw in the oven and bake until the cheese looks nice and gooey. About 10-15 mins. Serve up with your favorite toppings! 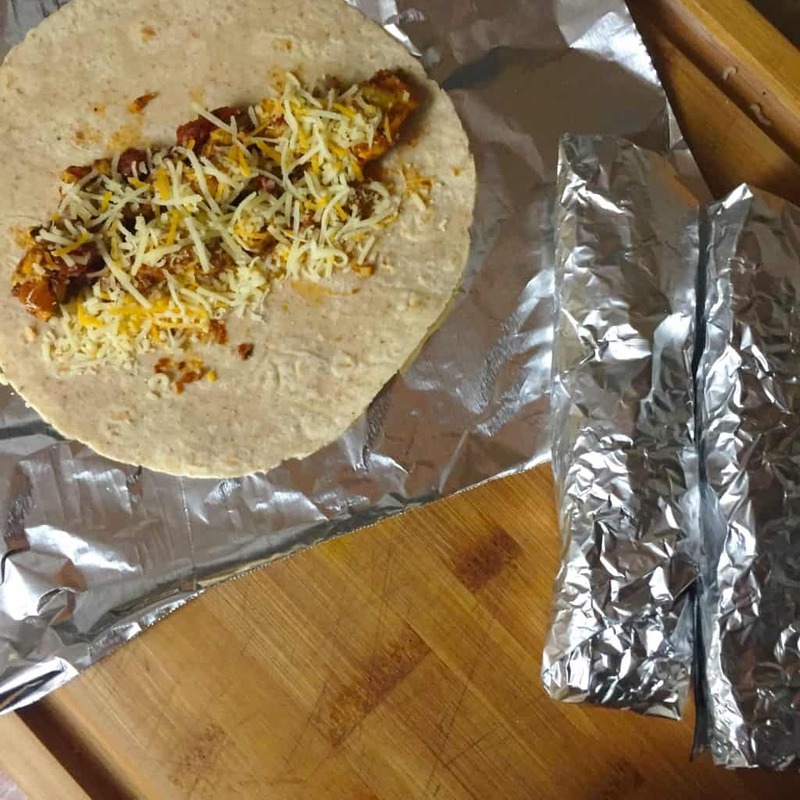 Most packs of chicken aren’t just a pound so with your left over chicken wrap them in foil and throw in the freezer for a quick lunch later in the week!! 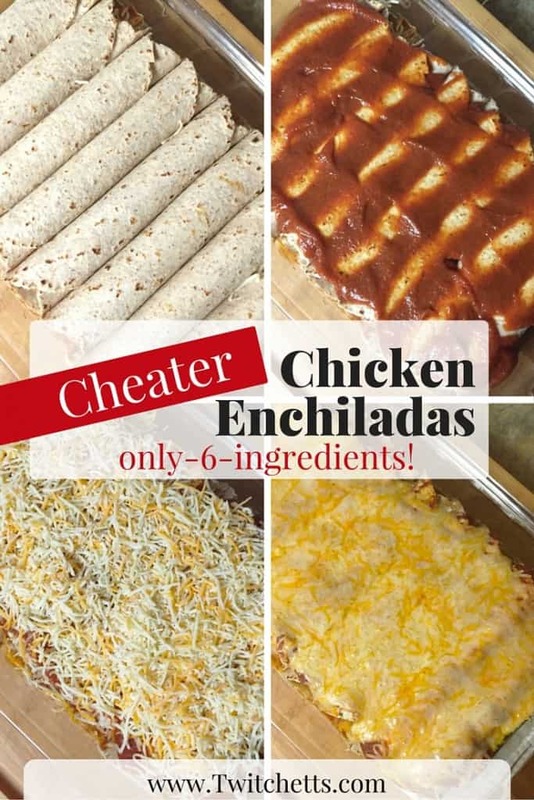 My whole family Loves these enchiladas! Since the shopping list is so small it is one of my favorite go to meals. I hope you give these a try! Let us know what you think!! mmm…throw on an avocado and I’m in enchilada heaven!